So, you’re thinking about what to be for Halloween, too? Which character do you want to be? Who do you want to create? Looking for inspiration? Here are some ideas. Downton Abbey – Take your pick of fashions between 1912 and 1925 and your favorite character and ‘voila!’ Downton Abbey lives again. This masterpiece continues to be an inspiration for themed parties and events. Who would you go dressed as? Another Period – Sure, you could dress up as Kim, Chloe, or Kourtney, but how about Keeping Up With the Kardashians with a Victorian / Edwardian twist? There is a lot of Halloween fun in Beatrice, Lillian, and Hortense Bellacourt. Tiaras and fancy dresses are just the beginning of the fun you can have dressing up as your favorite bad girl of 1902 Newport, Rhode Island. Or, you can be like ‘Chair’ or one of the other servants. 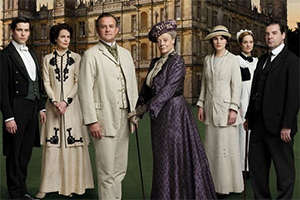 Our Agatha ensemble was part of the costumes for the servants during season one. Mad Men – Although the series is over, the fascination lives on! How much fun it would be to dress up as one of the women from this iconic television drama. Perhaps, it is the result of having seven women among the nine writers on the show (by season three). 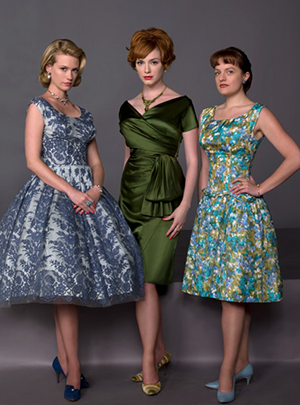 Christina Hendricks (Joan Holloway Harris), Elizabeth Moss (Peggy Olson), and January Jones (Betty Hofstadt Draper Francis) all look marvelous as they wield power in the man’s world of the early 1960s. Grease – that quintessential musical set in 1959 continues to be an inspiration for Halloween. Sandy, Rizzo, Frenchy and the gang run the gamut of 1950s fashion. Together, they make an unforgettable impression! 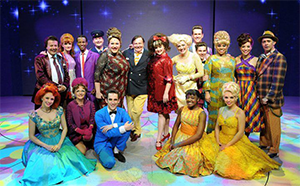 Hairspray – Set in the early 1960s, Tracy Turnblad, Penny Pingleton, Amber Von Tussle, and friends take a musical turn at a look at growing up during changing times. There is no mistaking these three young ladies! 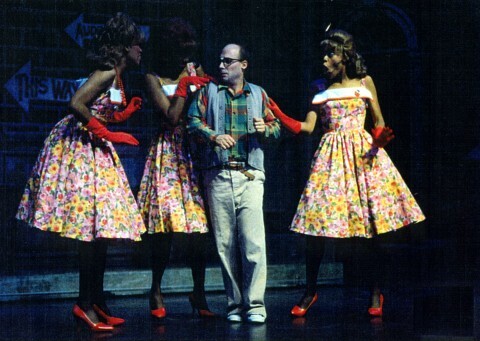 Little Shop of Horrors – Audrey, Chiffon, Crystal, and Ronette are doing all they can to make ends meet down on ‘Skid Row.’ Another great musical set in the early 1960s. There is a lot of fun to be had in dressing up as one of these characters! Victoria – be ahead of the curve. 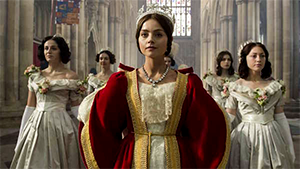 PBS fills the Downton Abbey time slot with a new masterpiece based on the life of Queen Victoria. Be among the first to celebrate the coming of another masterpiece to PBS by dressing up Victorian this Halloween! The Addams Family – classic that never goes out of style. There hasn’t been a movie made since 1998 and the original television series ran in the 1960s, but the characters continue to be instantly recognizable. Who wouldn’t want to be Morticia? Ah, Gomez, let me utter a few words of French. 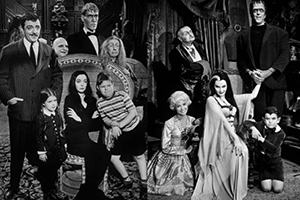 The Munsters – another classic that never goes out of style. Have fun with monster movies satire with Herman and Lily and the family. If you love Gothic, there is Lily. If you want to be ‘normal,’ emulate Marilyn. Such fun! C’mon grandpa, we’re going for a spin in the Munstermobile! Looking for more inspiration? How about Daisy Buchanan from The Great Gatsby? There is always that scarily funny trio from Hocus Pocus for some Halloween fun, too If you love Tim Burton, Corpse Bride offers a lot of Halloween inspiration. Then, there are the classics; Frankenstein, Dracula, and the Phantom of the Opera. We hope we’ve been able to be a catalyst of inspiration for your Halloween celebration this year. 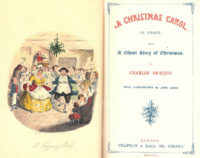 Take a look at our catalog for more.